Spring is coming – and summer will not be far behind. Especially in areas where it gets as hot as it does in Wichita, it’s important to take care of home maintenance tasks to ensure that you and your home are both ready for rising temperatures. Now is a good time to check your air conditioning units. Change the filter and check for leaks. Clean the air conditioner coils – for outside a/c units, make sure the power is off, open the case and use canned air or a stiff brush and a spray bottle. Dirty coils are less efficient. You should also do the same thing to your fridge – move it out and gently vacuum the coils on the back. It’s a good idea to schedule professional a/c maintenance for right now – do it in plenty of time as a lot of people are doing the same thing. Most roof damage happens during winter from the weight of ice or snow on the roof. You may be able to repair or patch minor damage yourself, otherwise call a professional. Fixing leaks as soon as they happen prevents expensive water damage later. If getting onto your roof is tricky, these days it’s possible to do aerial inspection – you can hire a professional or even learn to do it yourself with a camera drone. Overflowing gutters direct water into your home’s foundations rather than away from it. While cleaning gutters can be a pain, it will save you money and hassle in the long term. As the temperature soars, you are going to want to make use of your outdoor space. Start by sweeping your deck or patio thoroughly and checking for warped or loose boards. This is a great time to clean, stain, and reseal wooden decks. Check patios for cracked stones or tiles. Once you have done this, bring your lawn furniture out of storage. Rinse it with a hose or wash with mild detergent. Check metal furniture for rust and use spray enamel to deal with any spots of worn paint. Then pull out your grill and check that the gas hoses are connected. Fire it up and make sure the burner jets are even. Charcoal grills should be thoroughly cleaned. If you have been thinking of doing painting, inside or outside, spring is the perfect time. For interior painting, it’s best to do it when leaving the windows open will not result in either heating or cooling the outside so you are not wasting energy. Outside painting is also best done when it is neither too hot nor too cold. Checking your exterior for areas that need touching up is a good idea. Again, it’s good to have carpets deep cleaned when you can leave the windows open. If you don’t own a carpet cleaner, you can rent one, or you can hire a professional to take care of it. If you have a pool, now is the time to get it ready for pool season. Check the weather forecast first, but once there is no more frost you can remove, clean and store the cover. Then flush the plumbing system to remove the antifreeze before refilling the pool. You need to add your pool chemicals a bit before you actually want to use it. This is also the best time to have a professional pool inspection done. Lawn care at this time of year is important and can include applying fertilizer. If you have a lawn mower, now is a great time to check it and do annual maintenance. For the rest of your yard, this is also the time to plant most annuals and check on the health of perennial plants and shrubs. Power washing your siding and windows will remove the grime of winter and also reveal any problems that might be hiding under the dirt. Your house will look bright, shiny, and ready for spring. If you take on some of these maintenance tasks and want a re-inspection, give us a call. Whether you’re a buyer, seller or needing a roof inspection we’re happy to help! 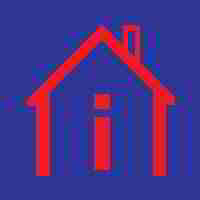 Check out our blog for more home inspection and real estate articles!